Chase suspect flees into church full of parishioners in NW Harris Co.
HOUSTON (KTRK) -- A church pastor helped deputies arrest a suspect in a Northwest Harris County chase on Wednesday. 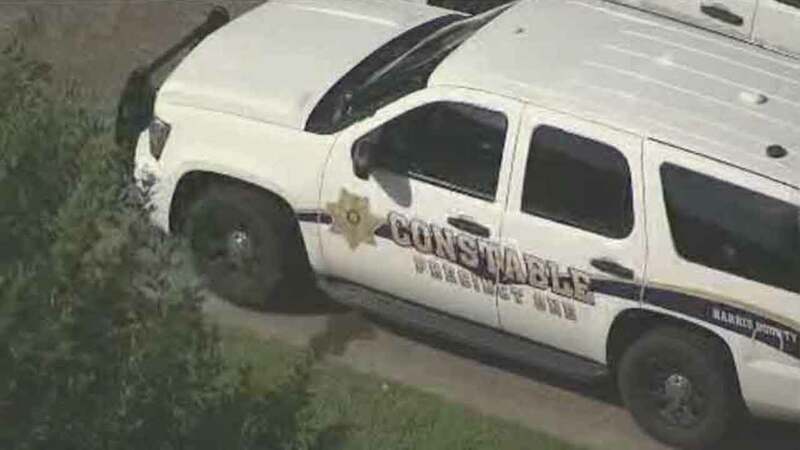 It started when Precinct 1 deputies say they were alerted to a stolen BMW. They found the vehicle and tried to stop it, but they say the to men inside took off. The BMW driver hit a parked car on Enchanted Forest and the two suspects got out and ran. Deputies used a taser to subdue one suspect near the vehicle. The other, they say, jumped a fence and ran into the back of the Centro Cristiano de Vida Eterna church on the 8200 block of Antoine. Pastor Hector Guevara says there were five parishoners inside at the time, including a baby. Pastor Guevara says he grabbed the suspect and held him until deputies arrived. "I know this is the Lord's house," he explained. "I'm not scared." Deputies say they found a number of stolen items in the vehicle.